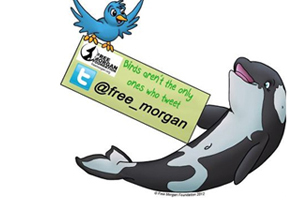 Our volunteers devote a lot of time and effort into keeping Morgan’s followers updated. As of September 2016, the FMF had over 29 thousand followers on Morgan’s Facebook page and a typical posting (according to FB) reaches between 3,500 to 7,500 people. Additionally, a great number of postings reach over 10,000 people and others reaching over 30,000. Because the Free Morgan Foundation also works with Government agencies, lawyers and policy makers, not all of our work is made immediately public. However, we do believe in transparency and therefore we publish our reports etc once they have been released to the relevant agencies and we have received a response from them. As of September 2016, the FMF had over 8 thousand followers on Morgan’s Twitter account. The account has posted more than 900 tweets – one of which has had over 230 retweets. 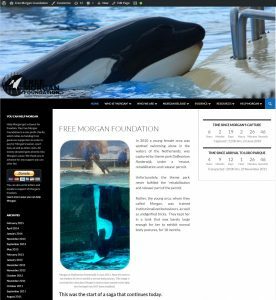 Please use the hashtag #FreeMorgan – it will help promote her cause and help to educate the public about her plight in captivity. Currently #FreeMorgan leads you to an array of different avenues for outreach. The FMF website (i.e., the one you are currently viewing) first appeared in 2010, not long after Morgan was captured. It has seen many different iterations and is currently constructed by volunteers using a ‘wordpress’ platform. As of September 2016 the website had more than 40 separate pages. It has over 50 links to external sites and gets at least 25,000 hits a month (averaged over the past 12 months). 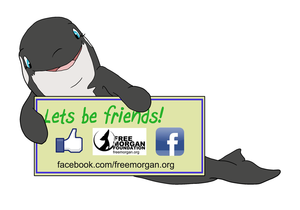 According to Google, the most common words used to search for Morgan’s website are “free morgan”, “morgan orca” and “loro parque morgan”. We endeavor to include as much information about Morgan’s situation as possible and to provide access to the extensive literature which we have complied over the years. As such, this website has links to over 50 documents, including those used as evidence in Morgan’s court cases, the verdict and various reports that we have produced. Additionally, we as individuals, but also as part of our bylaws, strongly believe that education is a key to helping Morgan and to preventing any other orca from being subjected to this type of abuse. Therefore, we feature information that explains the laws, the issues surrounding the welfare and the ethics of keeping orca (and other ceatceans – whales, dolphins and porpoises) in captivity.